Well, the simple answer is because it’s home, but we both know that that answer isn’t enough. I grew up in the Cincinnati area, which may or may not come as a shock to you. Technically, I’m a Kentucky girl, born and bred, but while living in the area, I was never more than thirty minutes from downtown Cincinnati. I know the tristate area better than any other. I can close my eyes and see the softly undulating hills thick with trees, the gentle curve of the Ohio River like a woman’s smile, secret and mysterious. I know her neighborhoods, her hidden nooks and stomping grounds visited only by locals. Cincinnati is a beautiful, Midwestern city of moderate size. No, she’s not a New York, L.A., or Chicago. She can be slow to change, obstinate, and intolerant. But she can also be so very elegant in an understated, regal way. She has a deep reservoir of history but she doesn’t flaunt it like some showy cities. I love the downtown skyline. Nestled in a river valley, there are spots around the region where you can come around a curve or top a rise and suddenly you are graced with the most spectacular view of downtown. The city is a hidden gem. There comes a power in knowing a region like the back of your hand. When it comes to planning a scene, more often than not I can think of the perfect location around the tristate area that will fit my needs and IT’S REAL. I love the idea of allowing characters that I’ve created walk around in a place that I know so well and love. I think part of the fun is that I know more than just the appearance of the place. I know the smell, the sounds and the vibe. There are little things that I just forget to add in when I creating a place from scratch, but I call so easily recall when I’m pulling up an actual memory. Of course, that being said, this is still fiction. There are a few things that I’ve made up or changed to fit my own needs. But that’s ok because it allows Rinda and me to take you on a fantastic roller-coaster ride. 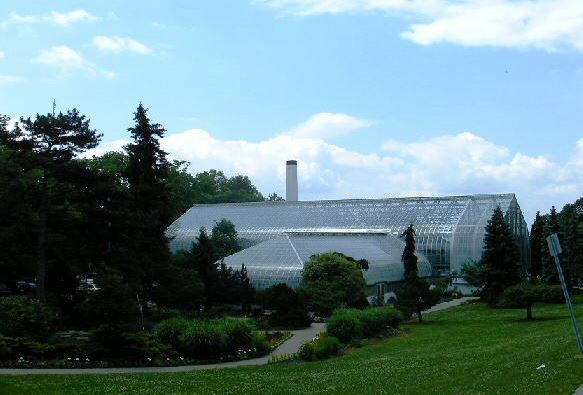 Krohn Conservatory – I have so many great childhood memories of this place. It beautiful and peaceful. I feel as if my visits to the city aren’t complete without a trip to the Conservatory. Cincinnati Zoo and Botantical Garden – Cincinnati has one of the top ranked zoos in the country and it shows. It is gorgeous. Mainstrasse Village – Do you need to grab a drink? This is my first choice of places to hit. This little neighborhood tucked just across the river in Northern Kentucky is a great place to meet friends for dinner and then grab a few drinks. Riverbend – Your summer is not complete until a trip to Riverbend to catch a concert. So many bands have played Riverbend. Grab a patch of lawn and listen to someone rock out. I’ve caught Red Hot Chili Peppers and Raconteurs here. Newport on the Levee – A relatively new development, this is across the river in Northern Kentucky. Grab a great dinner, pop by the AMC Theater for a movie or maybe you want to go to the killer Newport Aquarium. I can so easily see the characters of Unbreakable Bonds strolling along the river, enjoying the view of downtown after a nice dinner. Eden Park – The perfect place for long walks or just stretching out in the sun while reading a book. I’ve spend a lot of time wandering around Eden Park, brainstorming books. Eden Park is home to Krohn, the Art Museum, and Playhouse in the Park. Aronoff – A night at the theater. I’ve see musicians perform here, musicals, but I have to admit my favorite was always going to see the Cincinnati Ballet perform at Aronoff. A newer addition to the city, it is elegant without being overwhelmingly modern. Fountain Square – The center of downtown, Fountain Square holds a massive fountain (not surprisingly) and gives you the perfect starting point when it comes to exploring. The Square is home to concerts, ice skating in the winter and other events. Long drives through rural Kentucky – Sure, it probably not the type of place you had in mind, but it’s heaven to me. Rural Kentucky is filled with narrow, winding roads that soar up hills and dip down into valleys while either farms or woods stretch out on either side of you. When it comes to just breath-taking scenery, there isn’t much that can beat it and there aren’t many better ways to pass a lazy Saturday. The swing at my parents’ house – Okay, another one that is harder to peg down and I wouldn’t show up without calling ahead. For as long as I can remember, my parents have had a swing. Sometimes it’s on the front porch and sometimes it’s on the deck at the back of the house. But it is the best place to sit when the weather is warm. It’s the best place in all of Cincinnati to catch up on the local gossip, talk about what’s on your mind, or just sit and watch the sun set while listening to the crickets and the frogs. And if the weather is nice, it’s unlikely that you’ll be sitting on the swing alone for long. While I’ll admit that I love Cincinnati, I don’t see myself moving back anytime soon. My husband and I have conquered Wisconsin and now we’re enjoying South Florida (and that’s really hard to leave once you’ve experienced it in winter). There are too many interesting places around this country still to explore. But I will admit that I miss that swing and I’m aiming to give the boys of Unbreakable Bonds their own swing. If you’re ready to explore Cincinnati, check out Shiver, the first book of the Unbreakable Bonds series. It will be out on October 27. You can pre-order the ebook on Amazon now. Shiver can also be pre-ordered from Apple’s iBookstore here, Barnes & Noble, and for Kobo here. More options coming soon.